In the last decades, the book has exerted a strong fascination on contemporary artists who have increasingly implemented it within their practices. It has done so by being an object (i.e. a physical entity with distinctive characteristics), a medium (i.e. a means by which something is communicated or expressed), and an instrument (i.e. a necessary tool for accessing a body of knowledge). Since the 1960s the book has played an unprecedented role within the domain of art and its dissemination. During the 1960s and 1970s books started to embody and diffuse art instead of its representation. From the 1990s onwards, the book – especially in the format of exhibition catalogue – has assumed an even more complex role because it has become an interrelated instance of the realization of artworks which are not only characterized by their time-based (media) dimension but also by a constitutive intermediality. The first part of the study aims at relativizing the distinctions based on the paradigm of the artist’s book (as it has been constructed, theorized, and institutionalized between 1960s and 1980s), and suggests facing the book, as a medium, as an object, and as an instrument, retracing the mutual influence and the historical relevance of what, in the framework of this research, are considered as the three main typologies in which and through which it articulates, i.e. the art book, the artist’s book, and the exhibition catalogue. These three typologies are contextualized and discussed both historically and critically, while focusing on the processes that brought their creation and diffusion as well as on the contexts in which they have been theoretically conceptualized and debated. The second part of the research is entirely dedicated to Matthew Barney’s book production. Taking the work of the American artist Matthew Barney (*1967) as an exemplary case study, this part highlights some of the modalities through which he has made of the book – especially in the format of the exhibition catalogue – an essential tool of his artistic language. Putting the book in relation with the multiplicity of the medial iterations which characterizes the work of Barney, it emerges that it cannot be understood within the paradigms of a specific medium but rather as an instrument that like a kaleidoscope enables the reader to enter and navigate the artist œuvre, permitting one to experience it in all its medial, aesthetical, and conceptual complexities. Within the artist’s practice, the book proves to be a congenial tool with which to express and communicate the different temporal structures at play in his intermedia work. Through photography, but especially by a calculated implementation of the installation view, Barney understands the book as a mnemotechnic instrument in which the pictures do not function as place holders for memories or past experiences but rather as maps through which the artist guides the reader’s imagination. Francesca Valentini studied Cultural Heritage Sciences (BA 2006, State University of Milan) and specialized in History of Modern and Contemporary Art (MA 2009, Ca' Foscari University-Venice in cooperation with IUAV University-Venice, Université François Rabelais-Tours, and Harvard University). Since 2011, she has been conducting doctoral research as a fellow of the a.r.t.e.s. Graduate School for the Humanities Cologne in joint affiliation with the Research Doctorate in Philosophy at Ca’ Foscari University of Venice. In addition to her academic training she has worked for: documenta 14 (Education, February–September 2017); La Biennale di Venezia (Educational, 2017, 2015, 2011, 2009, 2007); Chirsto&Jeanne-Claude | The Floating Piers (2016); The Museum of Modern Art, NY (Curatorial Intern, Media and Performance Art Department, 2012); INHA-Institut National d’Histoire de l’Art, Paris (scientific collaborator, RETIF Project, 2010); Merz Foundation, Turin (Coordinator of the Education Dept. 2009–2010); Mulas Archive, Milan (scientific collaborator, 2009). Within the frame of a.r.t.e.s. curricular activities she conceptualized and organized the conferences "Arts, Humanities and the Value of Interdisciplinary Thinking, a.r.t.e.s. PhD Candidates present their research in Venice," Ca’ Foscary University-Venice, May 22–24, 2013; "In and Around Photography," University of Cologne, July 8, 2011 (together with a.r.t.e.s. fellows J. Schaffer and J. Schulte); as well as the lecture "Drawing and Knowing", held by Prof. Dr. Dr. Roberto Casati (Institud Nicod | CNRS-EHESS-ENS, Paris) at the University of Cologne on January 26, 2012. As a member of the team of the a.r.t.e.s. gallery, she co-curated the show "Transformations" (a.r.t.e.s. gallery, University of Cologne, May 11 – June 10, 2011), curated the show “Matteo Pericoli. Drawings from Within” (a.r.t.e.s. gallery, University of Cologne, January 26 – April 5, 2012; San Sebastiano, Ca’ Foscari University of Venice, May 22 – July 31, 2012) and was responsible for the concept and the organization of "100 Ideas on 100 Thoughts, an International Research Project focused on dOCUMENTA(13)" (Spring–Summer 2012). In 2016/17 she conceptualized, organized and led the summer school “Contemporary Art in the Global Present: an interdisciplinary collective analysis of the cultural, social, political and economical relevance of documenta 14 (Athens, Kassel) and of the 57th Venice Biennale (Venice)” (Venice, Athens, Kassel, Cologne, Münster, July 10–22, 2017); a Summer School of the a.r.t.e.s. Graduate School for the Humanities Cologne | Universität zu Köln in cooperation with the Department of Philosophy and Cultural Heritage | Università Ca’ Foscari Venezia and the Department of Communication & Media Studies | Εθνικού και Καποδιστριακού Πανεπιστημίου Αθηνών. “Contemporary Art in the Global Present” involved 16 selected advanced master students, doctoral candidates, and post-doc researchers as well as an international faculty of more than 20 professors, curators, artists and educators. “Contemporary Art in the Global Present” was funded by the German Academic Exchange Service, the a.r.t.e.s. Graduate School for the Humanities Cologne and the Ca’ Foscari University Venice. 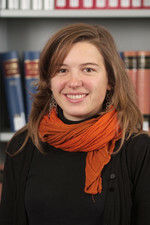 Francesca Valentini is Editor in Chief of the journal Metodo. International Studies in Phenomenology and Philosophy and collaborates as a free-lance editor with different art magazines. For selected conferences, papers and publications see academia.edu. F. Valentini, Tino Sehgal’s »constructed situations«: the tension of immaterial production, in D. Blanga-Gubbay and E. Ruchaud, You were not expected to do this – On the Dynamics of Production (Düsseldorf: DUP, 2017), 127–141. F. Valentini and E. Caminada, Retorica corporea: le «constructed situations» di Tino Sehgal, EPEKEINE: International Journal of Ontology, History and Critics 7, no. 1–2 (2016), http://www.ricercafilosofica.it/epekeina/index.php/epekeina/article/view/160 DOI: 10.7408. F. Valentini, Can Light write Art? Some Reflections on the Relationship between Photography and Sculpture, in S. Titz and J. Kim (eds. ), Mack. Kinetik Kinetics (Düsseldorf: Richter, 2011), 117–121. Conversazione. Richard Flood e Matthew Barney, translated by Francesca Valentini, in O. Gambari (ed. ), Matthew Barney, Mitologie Contemporanee (Torino: Hopefulmonster, 2009), 124–138. Time-based media art and the paradox of the book (on international conference AHRC DTP Time and Temporality, Cambridge University), September 14–16, 2016. Embodied Rhetoric: Tino Sehgal’s Immaterial «constructed situations» (with Emanuele Caminada) (on international conference: Building Consensus. Rhetoric between Democracy and Conflict), Palermo, April 17, 2015. 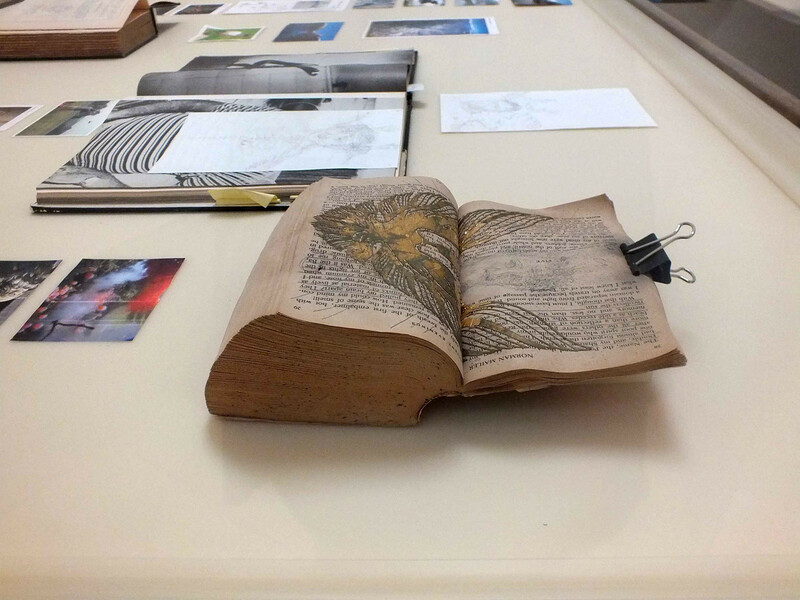 Art Book//Artist’s Book: an historical perspective, Institute of Art History, University of Cologne, April 22, 2014. Tino Sehgal’s »constructed situations«: the tension of immaterial production, (on international conference: You were not expected to do this – On the Dynamics of Production, Heinrich Heine University, Düsseldorf), April 2–4, 2014. Formen der Existenz innerhalb und außerhalb gegenwärtiger Kunst (on conference: Existentia, Kunstverein der Gegenwart, Leipzig), April 20, 2013. Mapping Aesthetic Space. Reconsidering the Book in Contemporary Art, Annual Symposium, Institute of Art History, University of Cologne, January 12, 2013. Interpreting Alexander Calder: Ugo Mulas’ Strategies of Representation, CIHA2012, Nuernberg, July 15–20, 2012 (Poster). Tino Sehgal >This Variation< at dOCUMENTA(13) (on international workshop: 100 Ideas on 100 Thoughts: a workshop, Cologne, a.r.t.e.s. Graduate School for the Humanities), July 12, 2012. Ugo Mulas: art and criticism through photography (on conference: In and Around Photography, University of Cologne), July 8, 2011. Can Light Write Art? (on conference: KINETIK VOR UND ZURÜCK. Neue kunsthistorische und restauratorische Beiträge zum Werk von Heinz Mack, Abteiberg Museum, Mönchengladbach), May 28, 2011. Ugo Mulas’ Calder: an artist through images (on international conference “9th International Springtime Academy The Artist, Goethe University, Frankfurt am Main), May 11–15, 2011. MA course "Collecting, Exhibiting, and Researching: Artistic Positions and Curatorial Concepts since 1945" with visits to different museums of the NRW region and a 10 day grand tour from Cologne to the 55. Venice Biennale (Kunsthistorisches Institut, University of Cologne, together with Prof. Dr. Ursula Frohne and Dr. Lilian Haberer). MA Course “Italian Language and Culture”, Sprachlernzentrum (SLZ), University of Bonn. "a.r.t.e.s. represents the challenge to develop one’s own research within a community of doctoral candidates in the full range of the humanities. Looking for common languages, sharing methodologies, and enlarging one’s own perspectives, one learns to recognise the value of interdisciplinary thinking."